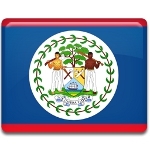 Belize annually observes Commonwealth Day on May 24. This holiday is also known as Sovereign's Day. Celebration of Commonwealth Day in Belize has a long story, that begins in the end of the 19th century, when Queen Victoria was perceived as a motherly figure and represented the expansive British Empire. Queen Victoria died in 1901 and the Earl of Meath promoted a special day for systematic training of children. This promotion led to creation of Empire Day, observed on May 24. Belize (at that time it was known as British Honduras) also participated in celebration of Empire Day. But as the British power waned, Empire Day transformed into British Commonwealth Day in 1958 and again to Commonwealth Day in 1966. Belize gained its independence on September 21, 1981, but it remained a Commonwealth realm. It annually celebrates Commonwealth Day on birthday of Queen Victoria with cultural events like horse races and cycling races. Schools and universities hold additional events, like raising of the flag and reading of the Queen's Day message.